I've had the pleasure of photographing this family since their oldest was an only child! It's been fun to see their family grow and to see all of the personalities of all the kids. They kept me on my toes and we captured some fun moments. Enjoy. 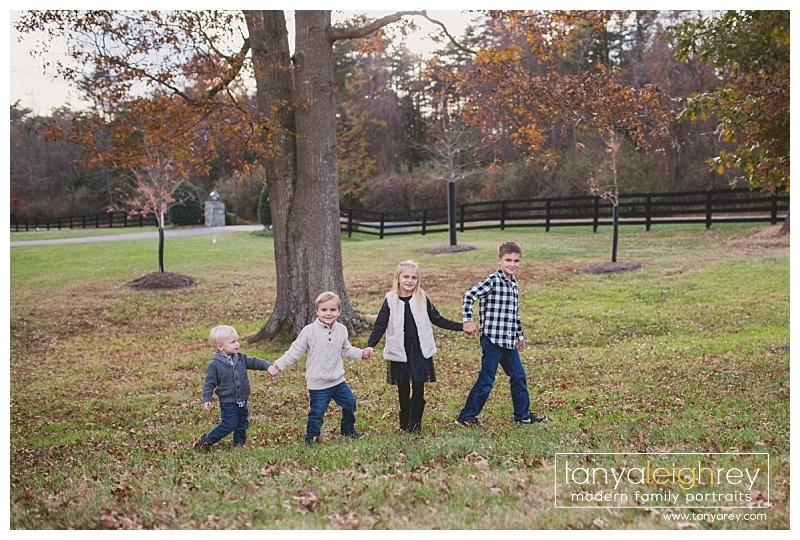 Tanya is a Clifton VA Family Photographer who travels throughout the Northern Virginia and Washington DC Metro area for Maternity, Newborn and Family Portrait Sessions. Here is part 2 of my Maternity & Newborn Session for this sweet family. I traveled to their home in Woodbridge VA for their newborn photography session. Enjoy. Tanya is a Woodbridge VA Newborn Photographer who travels throughout the Northern Virginia and Washington DC Metro area for Maternity, Newborn and Family Portrait Sessions. I was so excited when my friend contacted me to photograph her maternity session. We ventured to Burke Lake Park for my first Maternity Session at that location. The day was beautiful and we caught what was left of the beautiful fall foliage. Be on the lookout next week for their newborn session with their little cutie. Enjoy. Tanya is a Burke VA Maternity Photographer who travels throughout the Northern Virginia and Washington DC Metro area for Maternity, Newborn and Family Portrait Sessions. I have had the pleasure of getting to know this family over the last year. I was beyond thrilled when they announced they were having another baby. I traveled to Falls Church, VA for their newborn photography session. They are truly blessed. Enjoy. Tanya is a Falls Church VA Newborn photographer and a Northern Virginia Newborn Photographer. She specializes in Maternity, Newborn, Family and Children. Tanya would love to be your Northern Virginia Newborn Photographer.